For international students in USA, education financing is often a massive challenge. For starters, having a good credit history is very important in an economy such as America where credit financing plays such a crucial role. If the only reason you are relocating to the U.S. is your Masters degree (MBA, MS etc), you won’t have any good or bad credit history at all? How can education loan companies evaluate, quantify and reduce the risk of granting MBA loans for overseas students? That’s where co-signed student loans can help. In this post, we navigate this area of education financing that most higher education aspirants from India have heard about in passing, but aren’t sure of what it entails. How does co-signing work in international student loans? Cosigning essentially involves getting someone who’s been in the U.S. for an extended duration of time to sign the loan contract ‘together’ with the student. It’s a joint commitment. It doesn’t transfer the obligation to pay the loan onto their shoulders. You are still responsible for paying off the debt after you graduate. Your cosigner comes into picture if you ‘default’ (i.e. fail to pay the loan amount after graduation). To that effect, the risk is shared between you and your cosigner. The bank or lending institution may be able to give you a favourable interest rate on your education loan, if they know there’s a solid backup option for them to recover their money. Even a few (decimal) percentage points less can translate into several thousand dollars (lakhs if you convert it into Indian Rupees). How to find a cosigner for international student loans? Loan co-signing relies upon the principle of bringing in someone that the bank can trust – someone who’s been around long enough in the U.S. financial system to tell the loan provider that their money is safe. Banks don’t care really about who you’ve convinced to get onboard as your knight in shining armour. As long as your cosigner has a good credit rating and can satisfy the loan cosigning requirements, they’d be happy. Which means you can’t tell your colleague who’s relocated a month back to the U.S. to become your cosigner. You could get Bill Gates to sign on the dotted line, purely on the strength of your pitching and negotiation skills, even if he isn’t remotely connected to you. Rather than chase random rich dudes-n-dudettes, you are more likely to get support from someone who knows you well (and yet not completely repulsed with the thought of supporting you). You could shortlist names of close relatives or friends / colleagues who have lived in American for a long time (several years) and have a good credit rating. 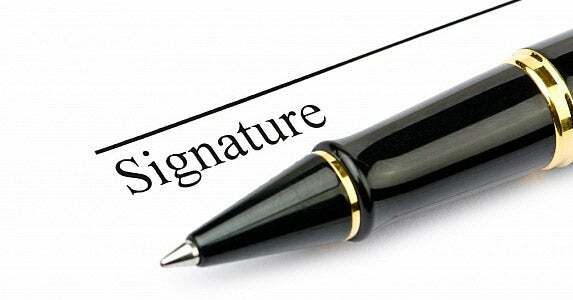 Being a co-signer comes with responsibilities and risks. That’s why even close relatives, who sounded very encouraging when you told them about your plans to study abroad, might suddenly seem reluctant and elusive when you ask them to support you as a co-signer. Though they aren’t paying anything upfront for the MS or MBA loan to get sanctioned, their credit ranking and credit history are both being put on the line because of you. And the uncertain period for them can run into several years (over a decade) depending on the student loan repayment period. They may have other big investments or purchases planned (like a new house). More reason for them to be apprehensive about donning the cosigner hat. After graduation, if you don’t get a job and come back to India, the likelihood of loan default goes up. You probably don’t care much about your U.S. credit rating getting smashed to bits (as there wasn’t anything to begin with), but the poor (emotionally, not financially) relative in USA will have to start paying for it. If both sides aren’t able to pay up, defaulting on the student loan can have legal implications for both you and your cosigner. What happens if the student loan cosigner dies or goes bankrupt? Shubh shubh bolo, I know! But the legal contracts don’t rely on optimism. However unlikely the scenario might be, banks have to factor in the worst case scenarios to protect their bottomline. If your cosigner files for bankruptcy or dies, the lender has a right that allows them to become paranoid and take (illogical?) steps to control their perceived damages. Even if you’ve been paying your loan installments, without any prior intimation they could mark your account as ‘Defaulted’. Apart from the auto-default panic setting, they could ask you to pay up the full loan amount. A couple of years back, Sallie Mae (the biggest student loan provider in USA) faced the heat for this very reason. It sent out notices and collection agencies to many borrowers (many U.S. citizens) who had dutifully being paying their loan installments (some for 7+ years) telling them about the auto-default clause being triggered because their cosigner had passed away and they need to pay the whole amount. Unfair? Bizarre? Call it whatever you might, but that’s how the small print in the lengthy legal documents works. So, beyond the financial responsibility of paying back the loan without defaulting, you are also under the spiritual obligation to wish for a long life and continued economic prosperity for your generous cosigner. Despite it’s benefits, cosigner lending isn’t an easy nut to crack. Do consider the aspects mentioned earlier before deciding if you should start hunting for a cosigner or if you should look for alternative forms of borrowing. Scholarships are the best form of financing. Many applicants who work with us for admissions assistance happen to get partial and full-scholarships from good universities. Read their stories here – MBA scholarship success stories from Indian students. If you can’t get that, try exploring student loans don’t require collateral / security. Or no-cosigner loans for education abroad. @Seraj: More than worrying about loans and scholarships, you’ll do yourself a favour by being more patient and working on your profile that universities will find attractive. With a good application, they may offer you scholarships. Focus on completing your degree at this stage. I’ve competed my engineering last year in 2015…now i’ve to do MBA from US it is my dream.But i dont know that how do my exam preparation and exam by which i’ll be able to take admission in top business school in US ? And how much should be score to get scholars for my MBA? If i am unable to get such good score to get scholars, after that how i’ll get loan for my study in INDIA? because my family conditions are not as good to pay my fee in US. plz help my what should i’ve to do for my study? Sir there any possibility to do job with mine MBA study in US and by this,will i be able to pay my collage fee or my monthly expenditure?? plz help me i m so worried about my carrier plz help mine as eairly as possible sir. @Anurag: It may be better for you to work for a few years and save some money before thinking of an MBA. No point in going abroad when the experience level as well as the financial status is not conducive. I have an admit from a B school in the US and am looking for financing options. My brother has been working in the US for around 04 years now, but he is not a green card holder or a citizen. Can he become my co-signor ?? I was hoping that it would drastically reduce the interest rates .